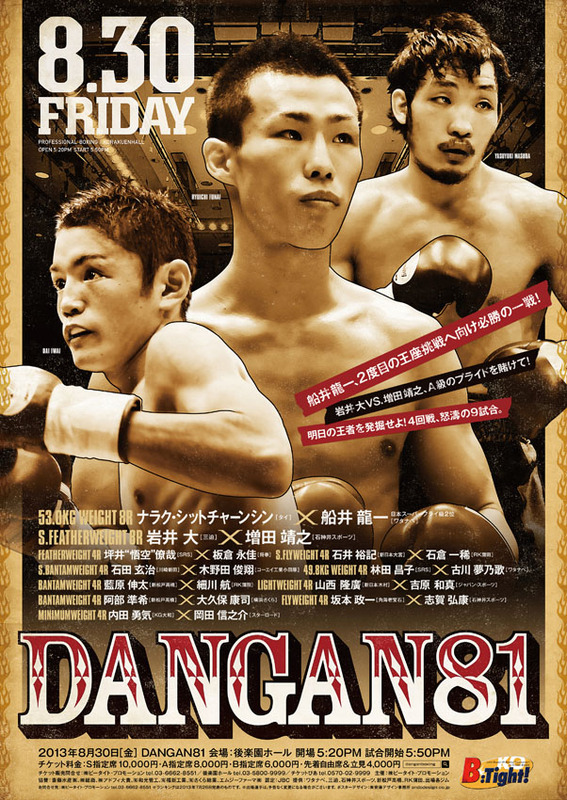 August 30th sees Dangan putting on what we assume is their 81st professional show named "Dangan 81", pretty sure you can see why we're assuming it's their 81st. The show may not be a huge one though it does feature some semi-notable names including Dai Iwai and Ryuichi Funai. In regards to the poster it's a design that shares the attention across 3 guys, has the matches on (albeit in Japanese) and has promotion's name on it so all in all decent poster that serves it's job well.